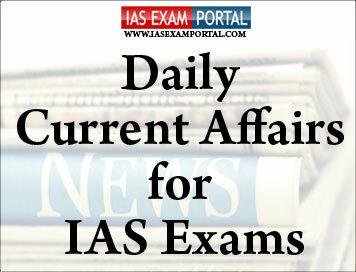 Current Affairs for IAS Exams - 07 FEBRUARY 2019 | IAS EXAM PORTAL - India's Largest Community for UPSC Exam Aspirants. When the latest CRZ rules were announced in December, environmentalists had raised concerns that the A&N islands already vulnerable to soil erosion and threat of climate change would be further susceptible to environmental challenges from infrastructure development. A six-member committee headed by former RBI Governor BimalJalan has been formed to review the economic capital framework of the central bank. The committee would submit its report within 90 days from the date of its first meeting. It will contribute to the objective of Food Security through infusion of new technologies in fisheries and aquaculture. It will further offer a platform for businesses in both countries to execute profitable ventures. Scientists and researchers may collaborate on studying ocean ecosystem also in the context of the Arctic region.